My love of geometry in art and sculpture combines with my decor aesthetic and is best illustrated in this series on origami influences in design. 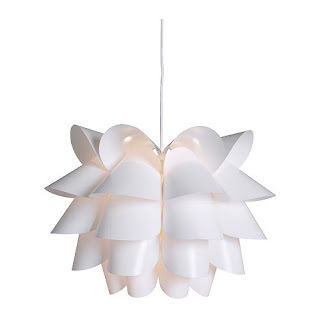 Lately I've been looking at examples of lighting that show origami roots. Here are a few. 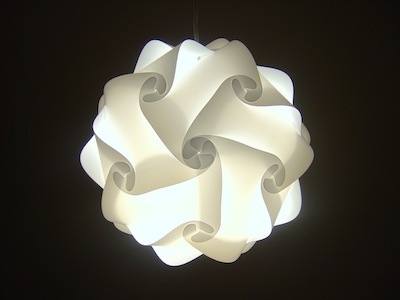 The second also is rooted in traditional origami. 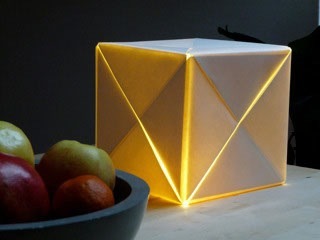 It uses the plan of the classic folded box as the basis for an illuminated box. 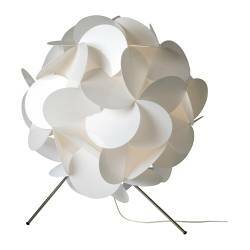 It comes in a variety of sizes and creates a very different effect when displayed in groupings. 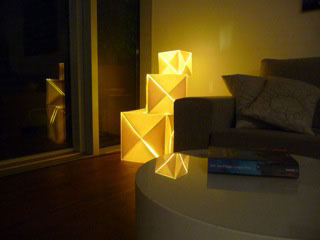 These come from the German website lichtkanzlei. IKEA often has origami inspired lamps in its line. 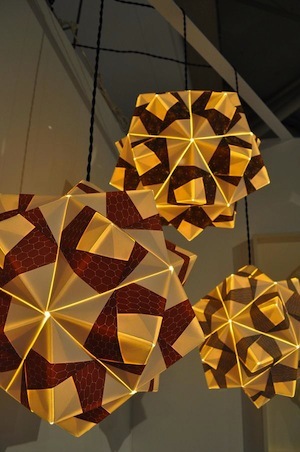 These are not created from the classic folding of paper yet certainly evoke the essence of origami. When you see one you like though, buy it. Next time you return the design may well be gone. Here are several IKEA designs, some still available, others not. 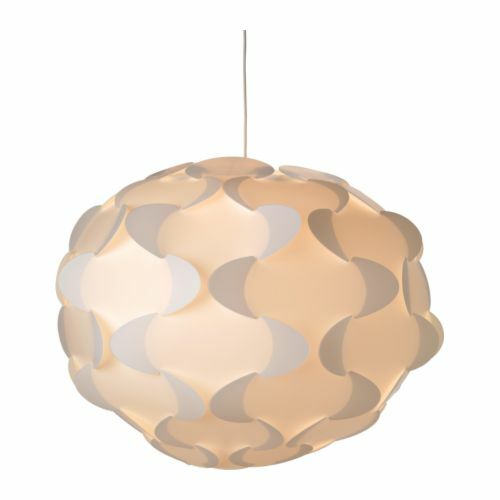 Also using the same techniques is this beautiful design by Olaf and shared on ideasforhouses.com.